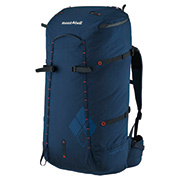 Home>Durable, Lightweight Backpack "RIDGE LINE PACK"
Durable, Lightweight Backpack "RIDGE LINE PACK"
The simplicity of a day pack with the capacity and easy access of a multiday pack. Arrival upon this elegant form was no easy task and the result of trial and error. 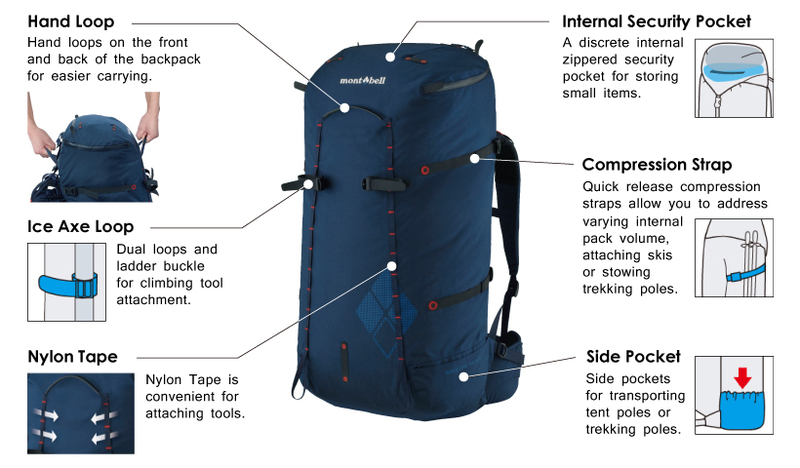 The core of the design is based on a newly developed material that is incredibly abrasion resistant, yet is extremely lightweight, and an original pattern that aims to reduce as many seam lines as possible. 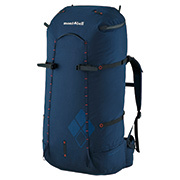 This simple, lightweight and durable pack is the pinnacle expression of Montbell's design philosophy, experience in the outdoors, and commitment to "Light & Fast." Our proprietary pattern design enables us to create the front out of a single piece of material, achieving very light weight and excellent water resistance. Newly-developed Lightweight and Durable Material "Ultra Ballistic®"
This nylon is of the highest level in the world, made using nylon 66 polymer, which is already extremely strong and durable. Using a special stretching process, the material is stretched to orient the polymer's molecules in the same direction, producing an even stronger and more durable material. In addition to the super strong nylon 66 fibers, we've also blended in hollow fibers to reduce weight without affecting strength or durability. Using hollow fibers allows us to reduce weight by 20% when compared to fibers of the same thickness. All fibers are delicately and precisely woven so the final material is uniform, producing an extremely durable material. Furthermore, this material also has excellent abrasion resistance because of its uniform, smooth nature. Ballistic Ultra's tear strength is 3.6 times stronger than standard nylon. 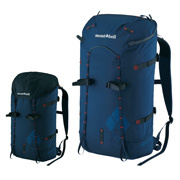 It is also able to boast being 5 times more abrasion resistant than fabric of the same weight. 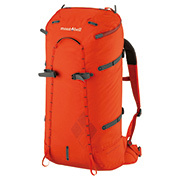 The Ridge Line Pack features a strong, lightweight aluminum frame. 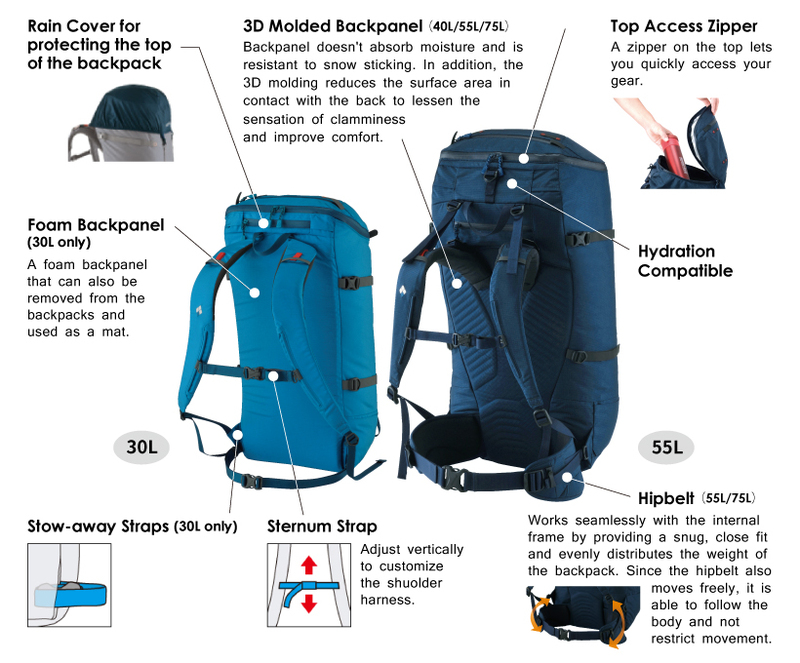 The aluminum frame can be bent and adjusted to fit the curve of your back, allowing you to personalize the fit of the backpack. 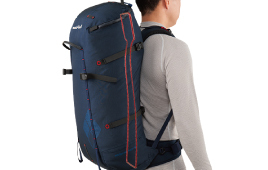 When a backpack is fitted correctly, it frees up the upper body's range of movement and improves balance. The frame is allowed to follow the upper body's movement, providing good fit and a feeling of balance when walking.